Cupcakes 'n Daisies: BOM Rehab, MoP . . . . I squeezed in two Memories of Provence blocks this week. Here's what Block 4 looks like in the pattern. Besides reminding me of a robot's head, it didn't have enough background fabric in the middle and had too much background fabric in the corners for me. So I used the center of Block 5, made a few changes to the outer section of Block 9, and created my own Block 4. Here are Blocks 4 and 9, I they look different enough yet have the same feel, a good fit for the overall look of the quilt. Plus they aren't right next to each other in the quilt, I doubt anyone will notice the likeness. 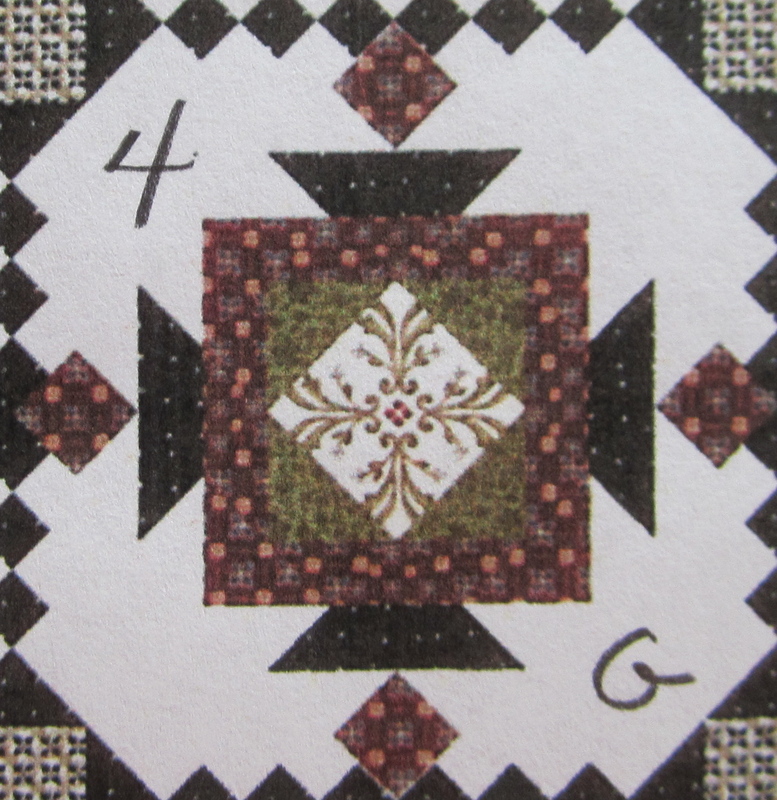 And here is my Block 11, I went with a totally different block from a sampler book that I have. 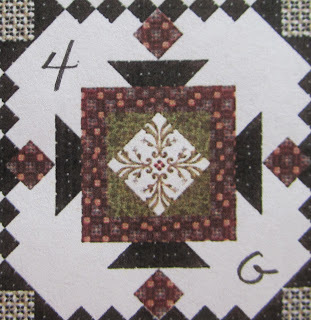 And here is Block 11 from the pattern. I just wasn't crazy about Block 11, I think it was the big chunks of green. My Block 4 has 85 pieces and my Block 11 has 75 pieces, the blocks finish at 12" x 12". I always enjoy working on at least one block in order to participate in Sinta's BOM Rehab, but with Hallowe'en done I figured this would be a good chance to make the two blocks that I wanted to change before starting on my next project. One MoP block to go, Block 12, I'm not changing it at all, but I'm thinking about changing those setting blocks! Thanks for all the well wishes and congratulations on reaching my 500th post. I truly am humbled you think enough of my work and my blog to stop by. I hope you hang in there for the next 500. I need to draw the winners, I'll get that all wrapped up this week. Stop back by on Halloween to see my finished Hallowe'en 1904. Isn't it funny what our eye sees? I don't see big chunks of green in that block 11, but I do see little strapless dresses dancing around the block! I like them both. Have a great day, Thelma! Looking forward to tomorrows post! Your latest blocks are beautiful. I like the originals too. Like someone else said, have you ever thought of designing your own patterns? Ooohhh I like your changes to these blocks. They make them so delicate looking. wow 75 pieces in one block, that scares me! your replacement blocks are definitely improvements! That is going to be one gorgeous sampler quilt! Oh, I can't wait to see your finished Hallowe'en 1904 quilt. Love the blocks - always fun to see. I like your blocks so much better! 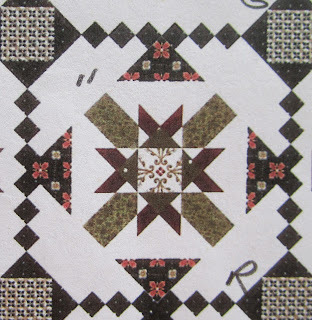 Can't wait to see your finished Hallowe'en 1904 quilt! I like your changes. They make sense. 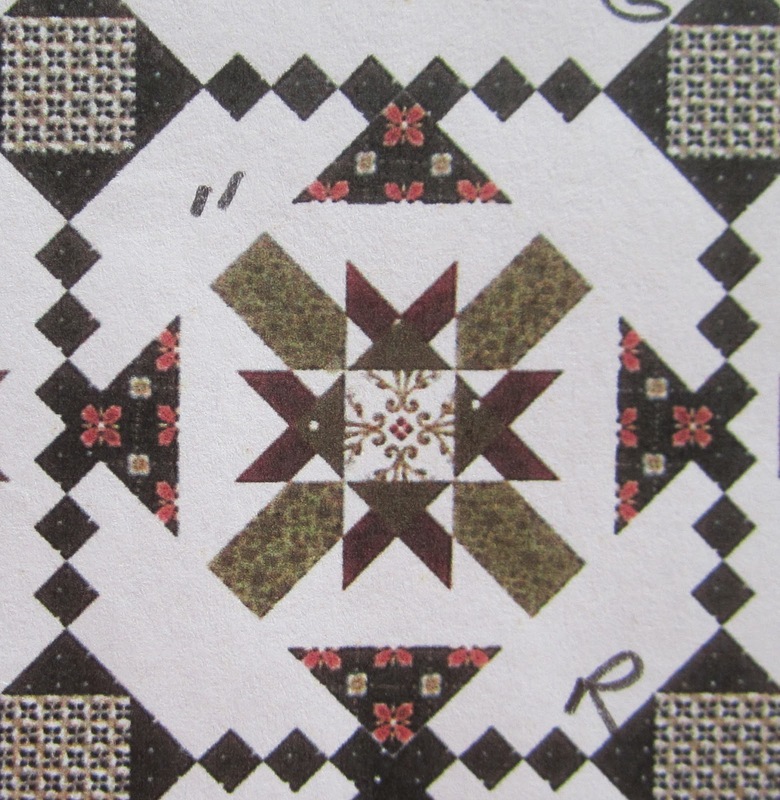 I thought this was an "old" BOM program, but I see that Quilter's Quarters is starting it up in about a month! It looks like the base color in their kit is Blue, but yours looks to be Green. I really like how you have modified the blocks, but at some point - don't you have to call it something else? :) I can't wait to see the setting! This BOM program was made to have two different settings and three different color ways, black, red, and blue. I'm going with the black version. 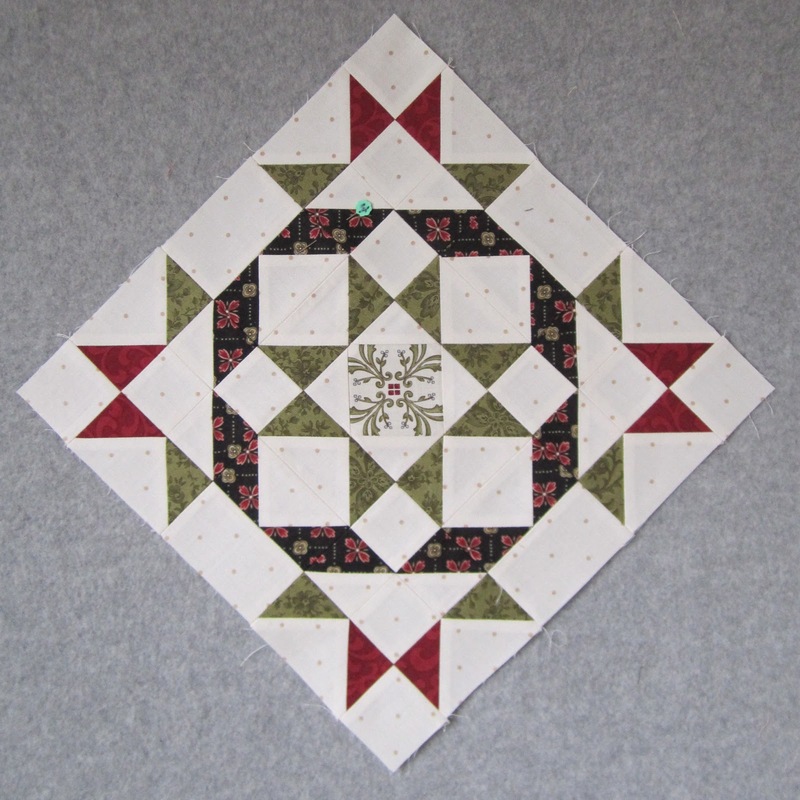 Do you trim your blocks after you are finished piecing? They are so square!! Great job and I love the "editorial" changes you made. I love how you changed the blocks! If I had this kit - I would copy you! ;oD Also - I loved the quilt ladder that you had some of your quilts displayed on... any ideas where I could find something like that? 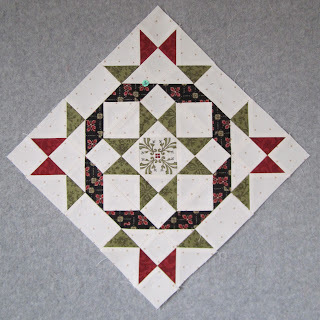 I love all the changes you make to blocks to make the quilt top all your own. Looks fantastic, Thelma. And I agree, block 4 DID look like a robot's head.